Forums » Professional Video Editing & Finishing Forums » Avid Media Composer - PC » Xeon vs i7? Latest post Sat, Mar 24 2018 3:14 PM by DStone. 11 replies. What is best for Avid MC? looking at HP z2, and want to know if I should choose the one with i7 or Xeon, both with 4 cores, 3,7 Ghz. Taking a quick look at that system, I notice that it has the Xeon E3-1205 and E3-1225 as options. Neither of these have HyperThreading. 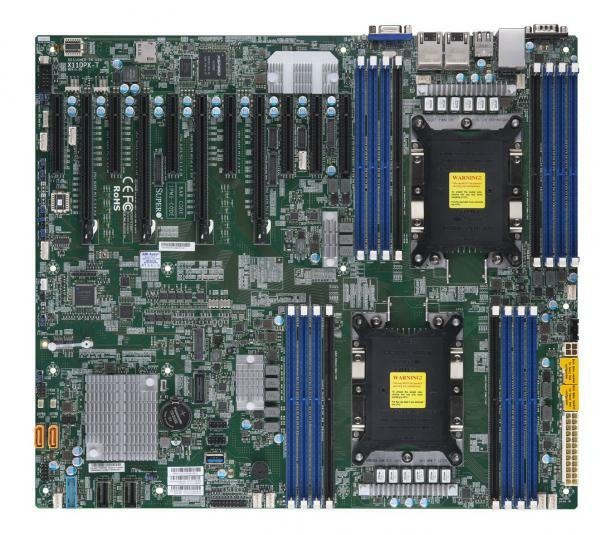 The only Xeon on the list with HT is the E3-1245 (which I presume is the one you're looking at). The price is going to be comparable between that and the I7-7700, but you can overclock an I7 and you can't overclock the Xeon. Overclocking may be desirable (once the warranty runs out). Otherwise, there's no real difference between the two configurations. The performance is going to be the same (similar clock speed, same # of cores, cache memory, etc.) The I7 turbo boost is a little higher, but the base clock speed is a little slower so it evens out in the end. If it were me, I'd go for the I7 so I could overclock it down the line. Xeon E is ageing, being the Xeon W out. The real question is Xeon W vs i9, but both CPUs are not an option on current HP workstations, nor with entry level Dell workstations. Consider the lowest cost i9-7900x is almost $1K and the high-end I9-7980XE is amost $2K, that's a lot of money for more threads but not a significantly faster clock speed over the I7. And the problem here is that when it comes to multi-core processing, the I9 is significantly faster. But MC tends to prefer faster clock over more cores. Anything else that likes to run a lot of threads will run much faster on the I9. I suspect that transcoding might be faster on the I9, but I'd be worried that editing is not significantly improved. And the Xeon W only has 1 sub $1K processor and that's not any better than the high-end I7. After that it's $3.5K for the next model up, and over $7K for the high end. For single CPU configuration I prefer i7/i9. You can get more cores for cheaper. Also, you have access to QuickSync which can be beneficial to some encoding workflow. protected ecc ram, a good idea if you sit atop terrabytes of data. i'm gonna pick up a Xeon W-2155 as soon as available. 10 cores, 4.3Ghz turbo, what's not to like? 4 Gpus and then some. mewant. Just remember that ECC buffered memory is slower than non-bufferred. And ask yourself when the last time you had a memory error that didn't get caught. For me, Xeons are what you use for serious data modeling and analytics, as well as other app's that can really take advantage of all of the cores. This is one of my biggest issues with Media Composer. It needs an overhaul to run more things in parallel on the threads, and push more stuff through the GPU (and support multiple GPUs at the same time). Now, if I'm running Resolve, then the above mentioned MOBO with 4 GTX 1080 Ti's, (2) Xeon W-2195s and 2Tb of memory sounds just about right. Too bad it doesn't have Thunderbolt or USB 3.1 though. And ask yourself when the last time you had a memory error that didn't get caught. In my 25 years of using HP Zeon workstations I've never had one. But then, how would I know if EEC memory had ever caught an error and (say) saved me a corrupt export? Does the OS report it in an error message? Seems like a lot to pay in price and performance for an event which might be rarer than a full eclipse of the sun! it's not only exports, also blocks in a raid array that become unrecoverable. anything that fights bit rot is good if your timescale is large. it's not only cosmic radiation causing memory errors. performance shouldn't be a concern with 4 channel ram. we're not insisting on ecc but leaning or gravitating. Windows (current versions) will only report if the ECC error could not be corrected. It will not report a soft error that was corrected. In 16Gb of memory, chances of ever seeing a soft error is very unlikely. Hard errors even in non-ECC memory get caught (usually by the system flaking out, assuming it will even boot). With high-end servers and 2Tb of memory (and yes, you can have such a system) ECC makes a lot of sense. The same goes for mission critical applications (you don't want your nuclear reactor doing something funky from a radiation induced memory error).